Olympus has unveiled the Stylus Tough 8010 and 6020 rugged compact cameras. Compared to previous generation Tough series, both cameras features tougher bodies that are waterproof up to 10m, shockproof against a drop of up to 2m and freezeproof down to -10°C. With 14MP image-stabilized sensors, 28-140mm lenses and 2.7 inch LCDs with advanced Tap control the the Tough 8010 and 6020 come with 2GB and 1 GB internal memory respectively and feature HD video recording. The 8010 also comes with a built-in manometer for water pressure calculation. They will available from March 2010. Hamburg, 2 February 2010 –When the going gets tough, the tough get going, so the saying goes. 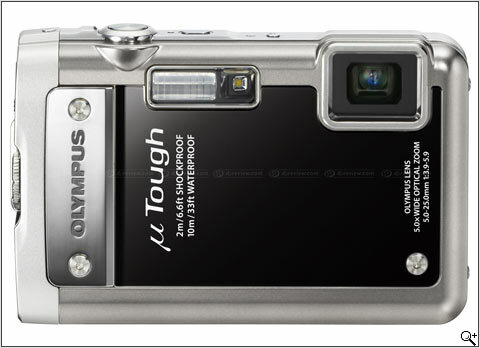 And that’s certainly true of the Olympus µ TOUGH-8010 and µ TOUGH-6020. Whether you soak them, drop them, or freeze them, these 14 Megapixel action cameras just keep on performing, taking outstanding pictures and HD movies. Up to 5x wide zoom brings you right to where the action is, and the built-in Dual Image Stabilisation helps during fast-paced chaotic shoots. These tough cookies can store even more with up to 2GB internal memory, and you can intuitively surf through your albums using the new [ib] software. Essential companions on any adventure, the Olympus µ TOUGH-8010 and µ TOUGH-6020 are available to buy from March 2010 for a retail price of £399.99 and £319.99 respectively. With the new features, it’s never been so easy to keep track of the latest tricks on the half-pipe or a climb to the mountain top. 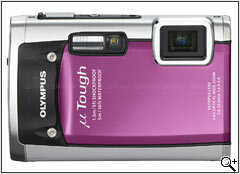 A versatile 5x wide optical zoom (28-140mm*1) ensures great group photos or close-ups of distant subjects. In addition, every move can be recorded with the HD movie function or integrated into a slideshow and then viewed comfortably on a TV set connected via HDMI. And by using Photo Surfing to select and look at pictures of anything from an afternoon on the sailboat to a child’s birthday, there’s no longer any need to tediously click through the whole library. 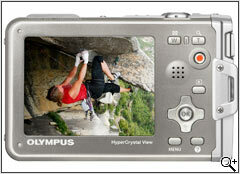 This is possible thanks to Olympus’ [ib] technology. The new image browsing software allows pictures to be tagged by face with Face Recognition technology, by place (with GPS) or by event. The tagged images can then be surfed through on the camera’s LCD, on a computer or a television. Both the 14 Megapixel µ TOUGH-8010 and µ TOUGH-6020 offer plenty of space for all those special moments: aside from an impressive 2GB and 1GB of internal memory respectively, an SD card slot is sure to be useful. The In-Camera Manual on the other hand, makes navigating the cameras and finding out how to operate certain functions a breeze. Tap Control has also been improved and now allows scrolling by tilting the camera body in addition to control through taps on the casing, perfect for gloved hands. Underwater fans will appreciate knowing where they are going with LED illumination. They can also get a feel for where they are with µ TOUGH-8010’s manometer. 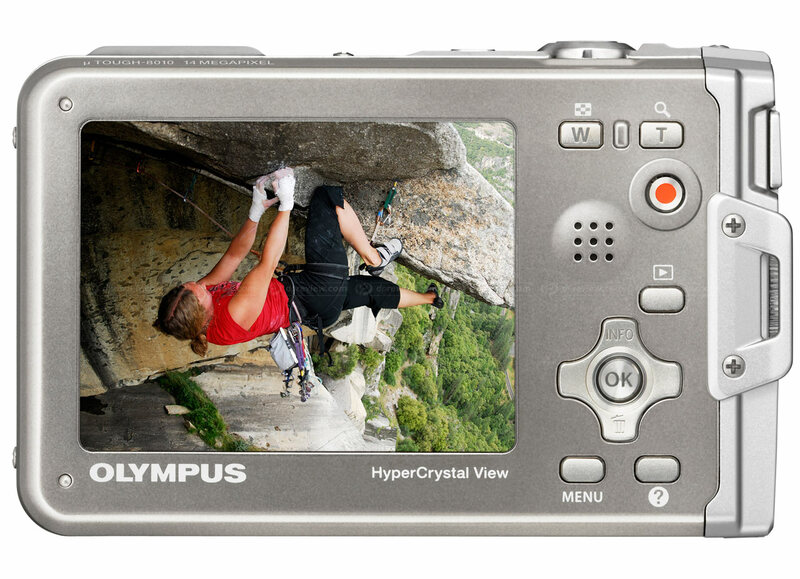 Of course, a variety of trusted Olympus features from Magic Filters and Beauty Mode to i-Auto, AF Tracking and Dual Image Stabilisation are also on board to make sure you don’t miss that perfect shot. Incredibly resistant through anodised aluminium plating and double sealing, these cameras were made for adventure inside and out. Their displays’ HC III “triple coating” protects it against reflection even under direct bright sunlight, scratches, and moisture for comfortable shooting while a stronger metal lens barrier ensures lenses are out of harms way. A double lock mechanism on the cover for the battery, memory slot and ports offers extra security. The shockproof, waterproof and freezeproof µ TOUGH-8010 and µ TOUGH-6020 will be available in a variety of colours from March 2010.